You know that moment when you’re 20 minutes into a compelling online video and, mid-sentence, the screen fades to black? Momentarily, a flashy advertisement wrests control of your screen, tempting you to abandon hope and continue trolling Facebook. That’s one way to approach online video advertising. But you might be relieved to know there is an ever-rising tidal wave of alternative video ad formats to meet your brand’s needs. With these tools, you can artfully integrate your message into online programming without causing viewers to pull their hair out. Here’s a quick guide to the world of Internet video advertising for brands. The audience is clearly vast, and while that might seem daunting, it also means you have the opportunity to carve out segments of the market you’d like to reach most. 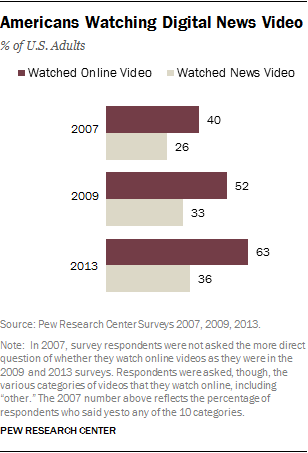 After all, your competitors already are investing in online video ads. In the local advertising category alone, projections suggest $3 billion will be invested in online video this year, up from $2.3 billion a year ago. A look at the bigger picture reveals online video advertising revenues will grow by double-digit percentages through 2016, second only to the soaring popularity of mobile ads. There are plenty of ways to package your video advertisement. The question is which makes the most sense for your brand. Consider just a few of the options provided by three dominant online brands. 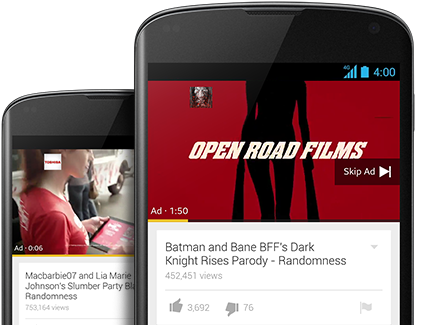 You can also read more analysis of YouTube’s pre-roll ads. Check out a bevy of other online video sites available, many with their own additional offerings. Vimeo, for example, allows brands to showcase original content through Brand Channels. Parting thought: You can’t land a video ad on Netflix right now, but that doesn’t mean the idea is off the table completely. Quality online video ads cut through the din of the Internet and elevate your brand’s voice. In a post for Social Media Today, Paul Mosenson identifies seven planning best practices for B2B organizationsthat are broadly applicable to brands considering the space. His advice begins with creating video ads around a goal, whether to build a brand or increase sales. Identify corresponding offers—a free download, for example—that you can use to generate leads or achieve other objectives. Review the format of your video ad. For example, ReelnReel.com notes, spots 15 seconds or shorter are more likely to grab viewers’ attention online than 30-second spots found on traditional TV. Specialized techniques such as retargeting can help you reach prospective customers who have interacted with your content in the past, WebCEO.com explains. Diversify your portfolio to include short explanatory videos or other informative content that can engage. It’s up to you decide how to measure return on investment (ROI). But let’s be clear: Investment in video ad analytics is critical to keep pace with the competition, writes AdKnowledge CEO Ben Legg. “This is, after all, the future of TV advertising, not just some sideline digital experiment,” he explains. Legg outlines three categories of ROI strategy. The attribution model is most unique to the Internet, relative to TV, because it allows companies to begin “tracking sales based on specific points of engagement.” Also available are the relative model, in which a brand compares online ad successes against TV ad accomplishments; and the absolute model, which factors in data points such as cost per subscriber. Beyond in-house analytics, social media powerhouses such as YouTube and Facebook provide their own suites of data-crunching dashboards over which marketers can geek out. The bottom line is that a hybridized approach probably works best. Pull together a virtual quilt of viewership information, and you’re likely to get actionable information for a future video strategy. As YouTube approaches its 10-year anniversary in February 2015, brands should celebrate the explosion of online video. True, the web is awash in content. Yet paired with carefully executed ads, marketers have the ability to reach viewers in exciting—and often innovative—ways. Brands can reward viewers with content that blends educational material, humor and celebrity. In turn, viewers may increasingly opt to click through to learn more or otherwise interact with gamified ads. The backlit future looks bright indeed.